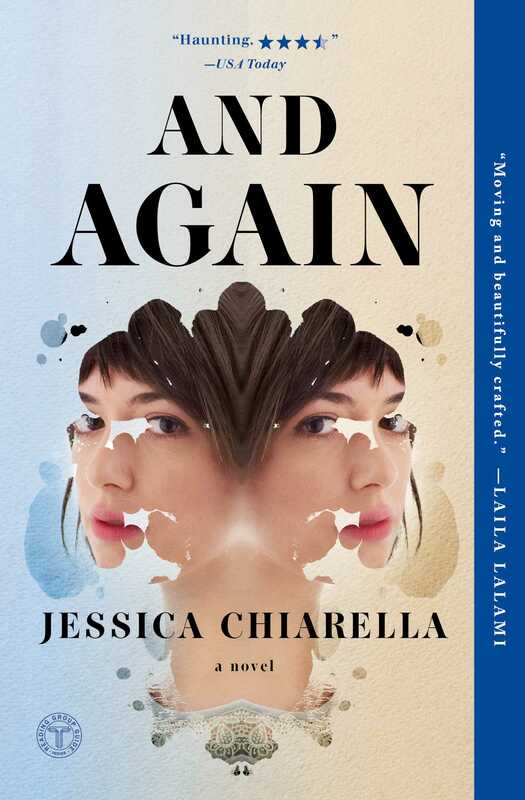 This reading group guide for And Again includes an introduction, discussion questions, ideas for enhancing your book club, and a Q&A with author Jessica Chiarella. The suggested questions are intended to help your reading group find new and interesting angles and topics for your discussion. We hope that these ideas will enrich your conversation and increase your enjoyment of the book. Four terminally ill patients receive the chance to enroll in the SUBlife program, a scientific advancement that gifts them with brand new bodies free from their old illnesses and the ravages of time. They’re exact replicas of their former selves . . . or so it seems. The four patients are Hannah, an artist who cannot seem to recapture her prior inspiration; David, a politician whose meddling with FDA approval for the SUBlife program is a secret he’s hoping to keep; Linda, who spent eight years in a “conscious coma” and is trying to reconnect with the family from whom she became estranged; and Connie, a soap-opera actress trying to revamp her career. And Again raises the question: is getting a second chance at life as miraculous as it seems? 1. When David wakes up with his new body, he vows to be a different man who won’t drink, won’t smoke, won’t indulge in extramarital affairs. How much of our habits are tied into our psyche and our genetics? Do you think old habits die hard? Or can we really re-train ourselves? 2. Speak to the ways in which each of the four characters sees their body as a tool, an object separate from them, something not their own, after the SUBlife program. Hannah cannot summon her old passion for painting. Linda feels helpless after her husband signed consent papers while she was in her coma. Have you ever felt separated from your physical body in this way? How much of your personhood do you think lies within your physical body? 3. Despite their external differences, what bonds do you see between Hannah and David that might lead them to be attracted to each other? If they had never met inside the SUBlife program, do you think they would begin an affair in real life? Have you ever been drawn to someone who seemed completely wrong for you? Why? 4. Connie’s life with Dr. Grath, a blind man with a love for old black-and-white movies, contrasts sharply with her life in Hollywood meeting sleazy agents and managers. Why does Connie find sanctuary with Dr. Grath? How much does his blindness factor into her sense of comfort around him? 5. Hannah is drawn to personalities like Penny and Connie, women who are unafraid to speak their minds. Think about Hannah’s voicelessness compared to Linda’s literal voicelessness. How would Hannah’s life be different if she spoke her mind more? 6. Though our society does not currently have something resembling a SUBlife program, author Jessica Chiarella’s alternative present does not seem far off. What similarities and topical themes did you notice throughout the book, from stem cell controversy to Linda’s lack of choice in having her child? How probable does SUBlife seem to you in our current society? 7. Linda feels a close bond to Connie due to years of watching her on Stratford Pines; this bond sometimes verges even on the sexual. What do you think spurs this false kinship, and why is it especially keen for Linda? 8. When Hannah learns the truth of why Sam was not at the hospital when she was at her illest—not that he had an affair with Lucy, but that he fled the state—she throws him out in a rage. In what ways is this worse than an affair for Hannah? Which would be a worse betrayal, in your opinion, and why? 9. Is there a part of your anatomy worn by time that you’d like to reverse? If you had a SUBlife body, what parts of your old body would you miss? 10. After having blinking yes or no as her only form of communication for nearly a decade, Linda finds it difficult to relearn how to communicate the breadth of her feelings with her partner Tom, and with the therapy group at the hospital. Imagine yourself in her situation—how do you think it would cause you to rethink how you communicate and what you choose to share? In what ways would you feel frustrated, and how might it be a relief? 11. Hannah makes the decision to re-ink her new body with a tattoo of a phoenix designed by Penny. If you had to choose a defining tattoo for yourself in this moment of your life, what would it be? 12. When the four SUBlife participants encounter one another in real life, outside the realm of their weekly therapy sessions, they share with one another an intimate secret, a special bond. If these four had not gone through the SUBlife program, do you think they would still share a bond? Do you detect a similar thread of experience that still binds them together? 1. Re-tell a chapter of this story from the point of view of the main characters’ partners: Sam for Hannah, Beth for David, Tom or Katie for Hannah, and Dr. Grath for Connie. Share your chapter with the group and see how the narrative changes. 2. Create a piece of art that you feel conveys your physical body as it is today, affected and informed by a lifetime of experience. Then have a friend in your group do the same, objectively drawing your body as a physical entity. How is it different? What surprises you? 3. Research articles in the news today about stem cell research and the advancement of cloning underway. Then look back on archived stories about Dolly the Sheep dating back to the mid-nineties. How have our society’s views on cloning and even stem-cell research changed? How do you think they will continue to change? How did your training at DePaul University prepare you for writing your first novel? Being a student in DePaul’s writing and publishing program really made all the difference for me in writing this novel. I wrote the first draft in a two-part novel-writing class run by Rebecca Johns Trissler, who has become a wonderful mentor to me throughout this process. The class was essentially a novel-writing boot camp, where each of us wrote sixty thousand words in ten weeks, took a week off for spring break, and then came back and revised those drafts over another ten weeks. There were about fifteen students in the class, and we were absolutely exhausted by the end, but I walked away with the raw material that eventually became And Again. It turned out to be an extremely rewarding way to write a first novel, because I was sharing the experience with such a talented group of students, and we all sort of leaned on one another for advice and moral support during the process. I don’t think it’s a coincidence that the novel included a support group that met every week, because that’s exactly what class felt like by the end! Why did you choose these four characters to explore and investigate in their SUBlife journey? Were there others you discarded in your drafting process? There were absolutely other characters that I had to lose as I revised the novel. The first draft was written from only Hannah’s point of view, and as soon as I finished I realized that I was spending most of my time thinking about the other characters in the support group, wondering what their lives and futures would look like. There were originally six or seven members of the support group, so when I finally decided to write from the other points of view, I knew I had to create composites of some of the characters to keep the novel from becoming too crowded with perspectives. I still think about the characters I cut though, because there are so many different ways I wanted to tackle SUBlife’s effects, such as through issues of gender identity, disordered eating, and mental illness. Which character do you find yourself relating to or empathizing with the most? Each of the characters has traits or attitudes that are drawn from my life, and each has some that are diametrically opposite to me as well, so that answer has shifted a lot depending on where I was in the writing and revision of the book. But in the end, Hannah is very close to my heart. I think her duality is something with which I strongly identify—her perfectionism contrasted with her rebellion against societal standards, the ways in which she grapples with her own privilege and yet still gives in to her selfish impulses—those are the things that made her come to life for me. She makes some very poor choices out of a very human desperation for connection. Sometimes she held up a very challenging mirror for me. But I knew that the more uncomfortable she made me as I was writing her, the better a character she would be. How do you envision these characters’ lives ten years after getting their new bodies? Do you think the SUBlife program could happen in real life? I think they would certainly be more at home in their new selves. The initial shock of it would probably have worn off, though I think they would still be contending with the aftermath of some of the choices they made in that first year. They’ll probably all have some serious regrets regarding how they reacted to the transfer initially. But I think, ten years out, they’ll have stopped thinking of themselves as patients, stopped thinking like people who have dodged a bullet, so their problems will be more practical and less existential than they were in that first year. I’ve always been amazed at how adaptable people are in the face of profound change, so I wouldn’t be surprised if they spend whole weeks without thinking about the transfer at all, after a decade. I’m not sure that something like SUBlife could happen in real life, but I think the idea behind it—that the miracle cure will not be a pill, will not be something we’re anticipating, but something much more holistic—is possible. I spent a lot of time thinking about human flight while I was writing the book, that it was less than a century between the Wright Brothers and landing on the moon. I think the next big medical advance will happen that way; there will be very little time between the first breakthrough and its logical conclusion. What inspired you to write this story? How do you think you would cope if you were a member of the SUBlife pilot program? The book started out as a love story, as an examination of how a relationship would be altered if a person went through a transformative physical experience. But very quickly I realized that something like SUBlife would have such an impact on the patient herself that everything in her life would be transformed, not just her relationship. I’m not sure I would fare any better than the characters in the book if I had to go through SUBlife; I’m not great with change as it is, so the idea of such a profound physical alteration would be incredibly difficult. I’ve spent a lot of time thinking about losing my tattoos, and it’s always an upsetting idea. Then again, the idea of a fresh start is very appealing. I would probably spend a few months falling apart, and then thank my lucky stars I’m still alive and march myself straight to a yoga class. 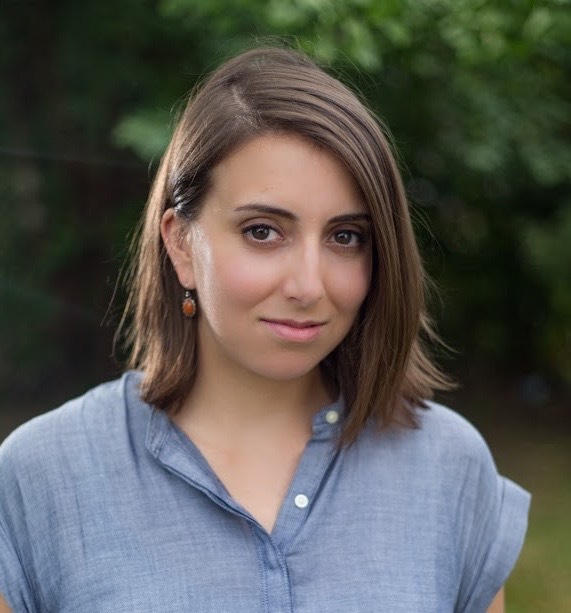 Jessica Chiarella grew up in the Chicago area and has a master’s degree in writing and publishing from DePaul University. She is currently a student in the University of California, Riverside’s creative writing MFA in program. “What a stunning first novel! And Again was continually haunting me, and just when I thought I knew these characters, who are so vivid and singular in their desires and frailties, and yet so universal in their humanity, they surprised me once more until the pages were finished and I was left pondering our lives, our future, and how love still works. Jessica Chiarella has so much talent." "AND AGAIN is a moving and beautifully crafted novel about the frailty of identity, the illusion of control, and the enduring power of love. A fantastic debut." "[Jessica Chiarella] does an amazing job moving from character to character and delving into their inner thoughts. The idea of creating human clones is already a controversial subject, but this book offers an eye-opening view to the mental and psychological strain that it can cause. The vulnerability and self-consciousness of the characters makes them easy to relate to and endearing." "Chiarella’s characters are well drawn, and their anguishes ring true. Do the people who love us in sickness and health really love us, or do they act out of a sense of duty? The SUBS have gotten a reprieve; what will they do with their second chance? Chiarella expresses their deep desires and yearnings with poetic compassion." "Chiarella is also a pioneer as a writer, spinning a plot that’s as groundbreaking as the medical procedure Linda, David, Connie, and Hannah undergo." "Chiarella’s debut novel is an intriguing tale of the everyday efforts of medical advancement. Though the premise is sf, the story is realistic and largely character-focused. Chapters are set from the perspective of the four individuals and woven together to tell a story that deals with commonplace issues in everyday life. Similar to Karen Thompson Walker’s The Age of Miracles, this is a great choice for fans of that novel"